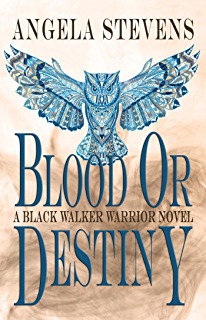 This is the second book in the Black Walker Warrior series, so you really do need to read book one, Blood or Destiny, first. As with a lot of Fantasy books there is an abundance of characters with weird and wonderful names that you just won’t have a clue about if don’t read these books in order. This book carries on perfectly from the ending of the first one, I had been gutted when I finished the last book. Stunned and eager for this book in my hands, well the wait was sooooo worth it. Now it is known that the Clizyati had not been wiped out and have been steadily re-building their army of vampires and now they are more savage and deadly than ever. A war seems like it can not be avoided. The Black Walker Warriors are also gaining recruits. I love how Angela Stevens intertwines all this story round the goings on of humans that are oblivious of so much. Ok there are communities that keep themselves pretty well isolated to hide their secret lives, but others have integrated within the human towns. This is again a busy book with so much tension building. Not only with the fighting but also with a love story. I just loved the relationships that developed in this story. This book brought out such a tender side to Rune. 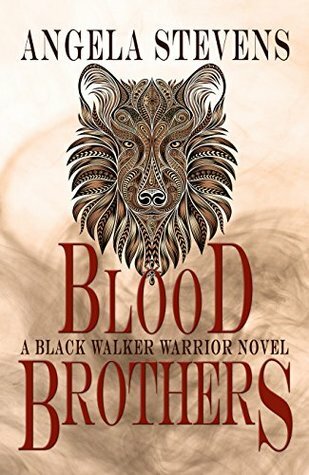 Although on a mission to avenge his brother’s murder, he finds a little happiness too. I was swooning myself. There was so much that I didn’t see coming in this book. Just loving this series.